READING, PA (November 12, 2018) – A former NFL player and founder of the Colton Underwood Legacy Foundation will be the keynote speaker at Berks County’s annual Valentine’s Gala to battle cystic fibrosis. At the event February 9, Colton Underwood will talk about how his cousin Harper’s diagnosis with the disease motivated him to start the foundation, which provides resources for research and support of people living with cystic fibrosis. “Colton’s work on behalf of all of those who are living with cystic fibrosis is inspiring,” said Brian F. Boland, a gala co-chair whose brother, Kevin, died of cystic fibrosis at age 39. Earlier this year, Underwood’s nonprofit in his hometown of Washington, Ill., began the Legacy Project, which seeks to deliver an AffloVest to a child in every state in the United States. The AffloVest by International Biophysics is the first fully mobile, mechanical, high-frequency chest wall oscillation vest that can help clear excess mucus from lung airways as part of the daily treatment for cystic fibrosis. Cystic fibrosis is a life-threatening genetic disease that primarily affects the lungs and digestive system. There are an estimated 30,000 people in the United States with the condition. Those battling this disease undergo a daily treatment and medication regimen in order to clear their lungs and maintain health. The treatments are time-consuming and financially burdensome. “It’s our goal at the Legacy Foundation to help minimize the challenges that come with accessing the optimal treatment options to support an active life,” Underwood said. The 18th annual Valentine’s Gala for the Cystic Fibrosis Fund will be February 9 at the DoubleTree by Hilton in Reading. The gala has raised more than $1 million since it began, Boland said. The gala benefits the Cystic Fibrosis Fund of Berks County, which Berks County Community Foundation administers. Grants distributed from the fund will support cystic fibrosis research and the treatment and care of local individuals and families affected by cystic fibrosis. Tickets to the gala will soon be available at bccf.org. Individuals and companies interested in becoming a sponsor of the event should contact Boland at 610-670-2552 or bboland@kozloffstoudt.com. 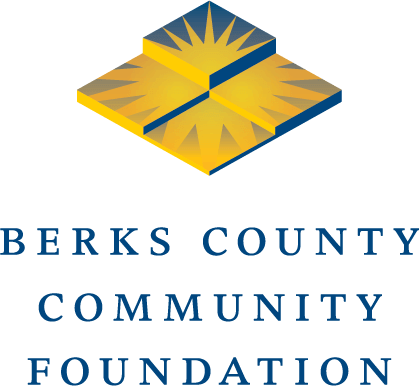 Berks County Community Foundation is a nonprofit corporation that serves as a civic leader for our region by developing, managing and distributing charitable funds aimed at improving the quality of life in Berks County. More information is available at www.bccf.org.